You can grab a free 6 months license key or activation code of Kaspersky Pure 2.0, the all in one security product from Kaspersky Labs thanks to Facebook Promo. Kaspersky Pure provides additional tool in addition to features provided in kaspersky Internet security (i.e Antivirus, Firewall etc.). Some of these additional tools include Password Manager, Scheduled & Automatic Backup, Encryption capability, File Shredder and PC Clean-Up Tools. 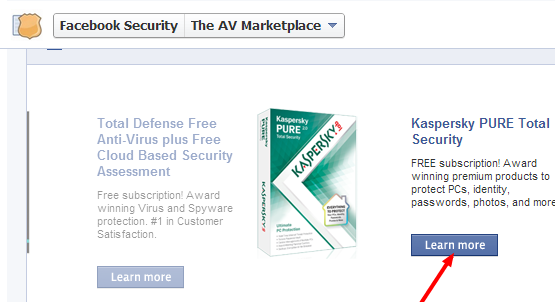 To grab the 6 months License key / activation code of Kaspersky Pure, Visit Facebook AV Marketplace Page. You must like the Facebook Page to get access to the Promo. Just select Kaspersky Pure Total Security “Learn More” button. A Popup window will appear which where you can submit your email address. After you submit your email address, you will get a confirmation page telling you that your license key is being sent to your inbox. Almost instantly, you will receive Kaspersky 2.0 License key in your email Inbox along with the download link of installer. Just download the installer (~198 MB in size). 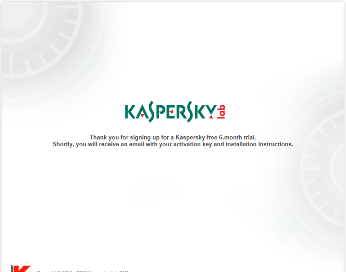 During the install, just use the activation code and you will have 183 days license of Kaspersky Pure. Thanks for the promotion info.